Saturday, November 9, 2019, or February 22, 2020: Departures from home for travelers from the USA, Canada, or Australia. If you are traveling from places other than the UK or Europe, the departure date for your international flights is Saturday, November 9th or February 20th. Cairo is 7 hours ahead of New York, 10 hours ahead of California. Your flights will arrive in Cairo on the following day (Sunday, Nov 10 or Feb 21). The only nonstop flights from the USA to Egypt are JFK/Cairo and Dulles-Dulles/CAI on Egypt Air, departing in the evening from the US and arriving in Cairo around noon the next day. International flights are not included in your tour. 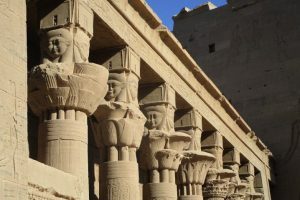 Flights within Egypt – Cairo/Luxor and Aswan/Cairo – are included. * NOTE: The EXPIRATION DATE on your passport needs to be after May 24, 2020, for the Nov 2019 Tour or September 8, 2020, for the March 2020 Tour which is 6 months after your departure from Egypt (Nov 24, 2019 or March 8, 2020). US, UK, and Canadian citizens do not need to obtain a visa for Egypt in advance. Tourist visas are issued upon arrival in Cairo airport. 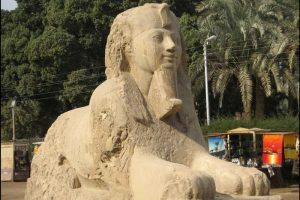 DAY 1 – Sunday, Nov 10, 2019, or Feb 23, 2020: Dashur – Arrivals in Cairo. Welcome meeting and dinner. Meals: D. Hotel: Le Meridien Pyramids Hotel & Spa, Steigenberger Pyramids Hotel or similar. Welcome to Egypt! 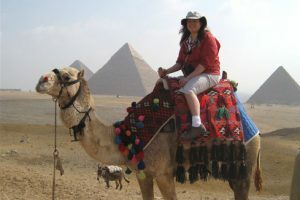 A representative will meet you at Cairo airport and bring you to our hotel near the Giza pyramids. 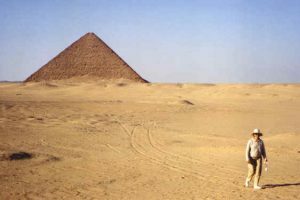 DAY 2 – Monday, Nov 11, 2019, or Feb 24, 2020: Dashur – Red & Bent Pyramids, Blue Lotus Guesthouse, Memphis. Meals: BB, L, D. Hotel: Le Meridien Pyramids Hotel & Spa, Steigenberger Pyramids Hotel or similar. 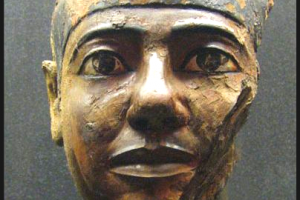 We begin our tour together with sites from Ancient Egypt’s Old Kingdom (2,575-2,150 B.C.). Leaving Giza we drive southward through fertile farmlands to the pyramids at Dashur, dated even older than the pyramids at Giza! 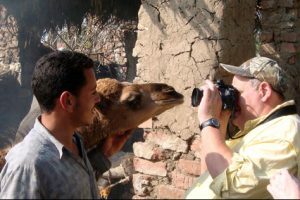 It is also a chance to begin savoring the riches of Egypt without huge crowds and souvenir sellers. 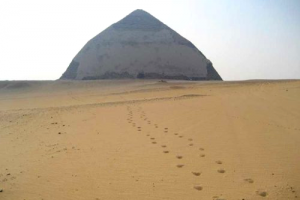 We spend time inside the Red Pyramid (nearly as large as Giza’s Great Pyramid) and then have the opportunity for an unforgettable walk across the open desert to the Bent Pyramid. The desert is rich with inspiration and the vastness is exhilarating. The Bent pyramid was a key center of worship during the Middle Kingdom and was much more important than Giza at that time. 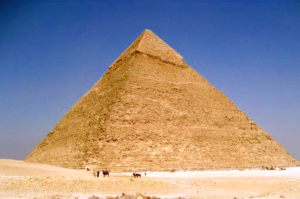 The Bent pyramid is the only pyramid to retain most of its original casing stones. 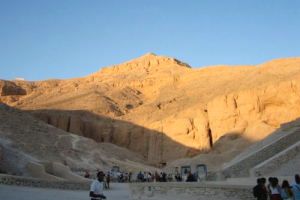 The Black Pyramid (Middle Kingdom mud brick) can also be seen from here. 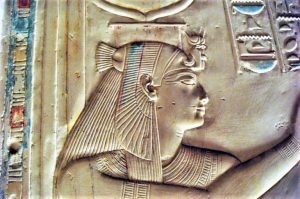 Ruth has some friends in the Saqqara area who have a guesthouse in the Black Land, the farming area. Hopefully, they will be home and able to welcome us for lunch. It’s also a chance to see some of the nearby farmers and their animals up close. 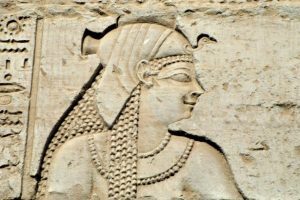 One well-known Egyptologist said, “If you want to learn about Ancient Egypt, study the traditions of the local farmers.” They may well be the closest link we have to the ways of the ancients. After lunch, we visit the ancient capital city of Memphis. 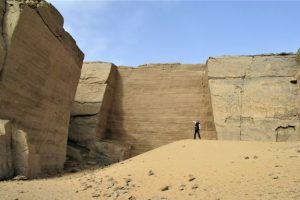 This was constructed of mudbricks so not much remains, but there are some interesting artifacts on display – the Alabaster Sphinx, the huge fallen statue of Ramesses II, and a number of other statues. Our dinner is near the Sphinx and Pyramids of Giza. Our first full day in Egypt was glorious! 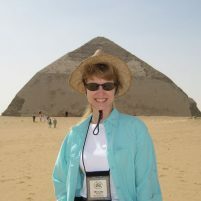 Today we spend a full day on the Giza Plateau. You can go inside whichever pyramids are open. Of the three pyramids, two are usually open while one is closed for renovations – dates are not announced in advance. Tickets for entering the individual pyramids are included in your tour package. 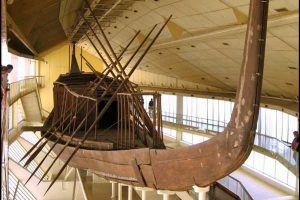 In the Solar Boat Museum, we see a boat that is almost 5,000 years old and was found here beside the pyramid 60 years ago. 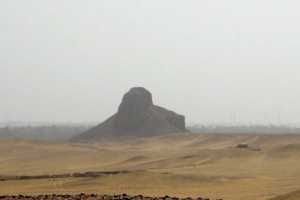 We will also see the Great Sphinx & Valley Temple. There are legends of the Sphinx speaking. 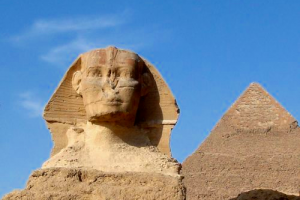 Does the Sphinx have a message for you? The Valley Temple is built with huge granite blocks that fit together snugly even today, almost 5,000 years later. Some think it is even older than that! Camel rides for the adventurous (no additional fee). Camel videos HERE. 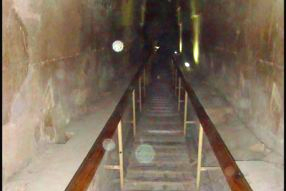 *Note: We are applying for a special government-issued permit which will allow us to have a private visit for our group alone in the Great Pyramid after the other tourists have left for the day. We have every reason to believe that we will receive this permission, as we have on our previous tours. However, we cannot guarantee this because government policies can change unexpectedly. Full moon at the pyramids tonight! 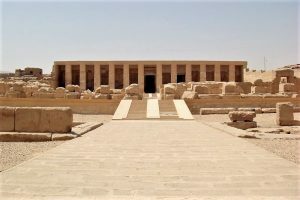 DAY 4 -Wednesday, Nov 13, 2019 or Feb 26, 2020: Saqqara: Step Pyramid, tombs, Unas Pyramid, Imhotep Museum. Flight Cairo/Luxor. Meals: BB, L, D. Hotel: Sonesta St. George Hotel, Steigenberger Nile Palace, Luxor or similar. We check out of our hotel this morning because we will fly to Luxor this evening. 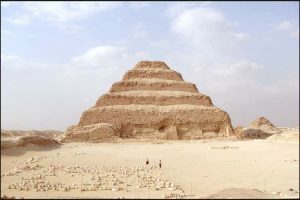 Our sightseeing will be at the Saqqara Complex (also spelled Sakkara) today. 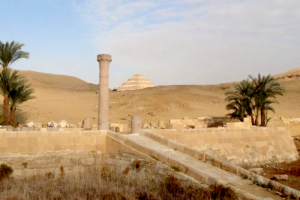 One treat for our previous travelers is that the famous Pyramid of Unas is now open! And it is now, of course, included in our tour! 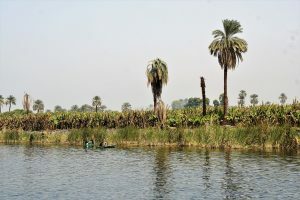 On our way to Saqqara, we drive through the Black Land where the people have farmed the rich Nile silt for thousands of years. 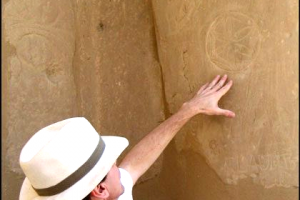 We see the Step Pyramid, the early versions of the Book of the Dead in both the Unas Pyramid and the Teti Pyramid. 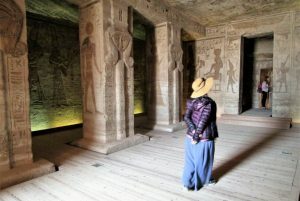 We also visit some tombs with scenes of the daily life in the Old Kingdom (the ones which are open varies). 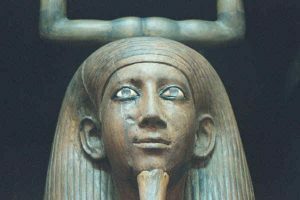 We also have the pleasure of seeing the newly opened Imhotep Museum – a beautifully laid out modern museum with a number of wooden statues from the Old Kingdom that are particularly memorable. 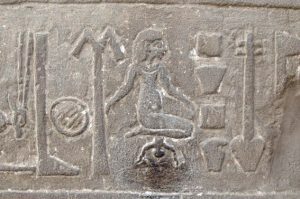 All the items on exhibit were found here at Saqqara and have not been on public display before. 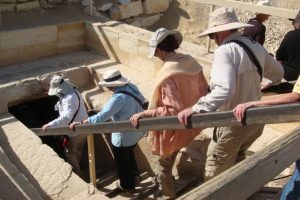 There is much to see at Saqqara. 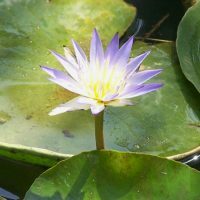 We will add in other things depending on time and the interest of those in the group. 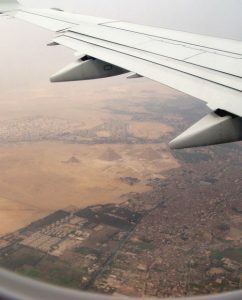 Flight Cairo/Luxor (1 hour) and check in to our Luxor hotel on the East Bank of Luxor. It’s right on the Nile! 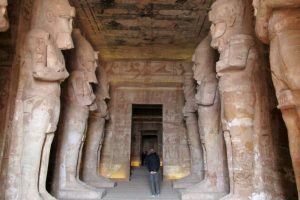 DAY 5 – Thursday, Nov 14, 2019, or Feb 27, 2020: Tomb of Nefertari, Colossi of Memnon, Ramesseum, Hatshepsut’s Deir El Bahari, Luxor Temple. Today we have a very special treat. 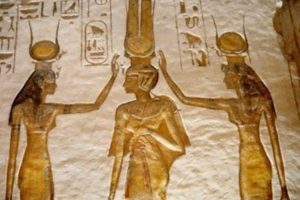 The Tomb of Queen Nefertari has now been opened to the public! There is a hefty entrance fee (about $80 USD), but that has been included in your tour. The beauty of this tomb is incomparable, literally breathtaking. 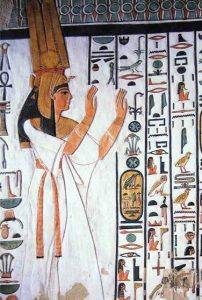 Images from this tomb, with its many depictions of the gods and goddesses, are found in all the well-known books of Egypt. What an opportunity to see it ourselves up close! 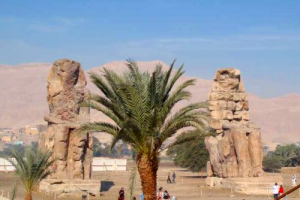 Just over the bridge to the West Bank of Luxor, we are greeted by the “Colossi of Memnon.” They are actually two huge statues of Amenhotep III which stood at the entrance to a temple which no longer stands. 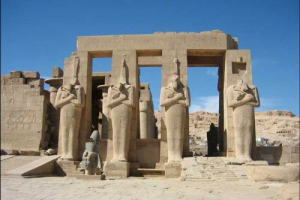 During our first tours of Egypt, there were fields of grain behind these statues. Today it is an active archeological site with new artifacts being discovered on a regular basis. 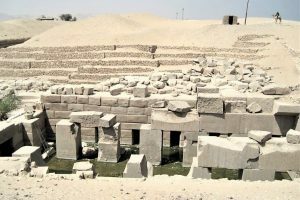 The rarely visited Ramesseum is a favorite of many of our travelers and a very good introduction to the New Kingdom Mortuary Temples. It is not too big and gives us a chance to learn the basic elements of the temples. 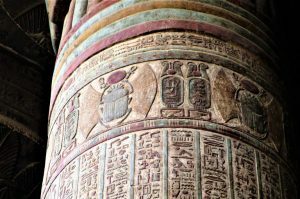 There is a splendid hypostyle hall, an astrological ceiling, and some excellent wall reliefs in good condition. 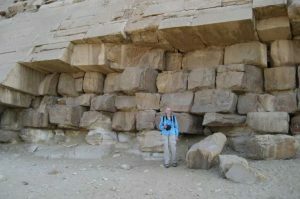 This is also where we find the fallen statue of Ramesses II which inspired a poem by Shelley. Next, we visit one of the earliest New Kingdom temples. 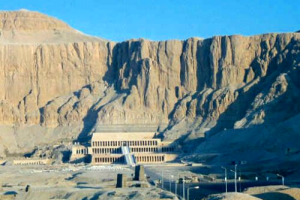 Called “The Most Splendid of All” by the ancient Egyptians, Queen Hatshepsut’s Temple, the famous Deir El Bahari has inspired many, including the founders of modern architecture. 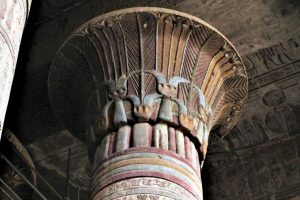 One of the outstanding features is the picturesque Hathor columns in the Hathor Chapel on the second Level. The third level has now also been opened to the public. For lunch we are hoping to visit a family who are friends of Ruth on the West Bank of Luxor. If they are not able to host us that day, we will eat at a nearby restaurant. In the late afternoon, we visit the Luxor Temple when the lighting is optimal for seeing the wall reliefs. 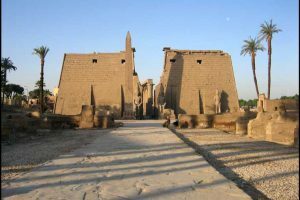 Both gently beautiful and full of awesome grandness, this temple was the “Bride of Karnak” during the annual Apet festival. 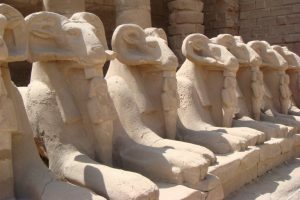 There was an Avenue of Sphinxes that connected Luxor Temple with Karnak and many of them are still standing near the Luxor Temple. 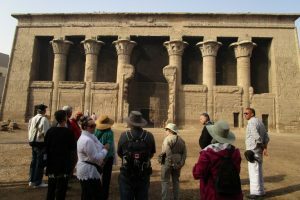 DAY 6 – Friday, Nov 15, 2019, or Feb 28: Optional Balloon Ride,* Karnak Temples, Luxor Museum, Luxor Bazaar. 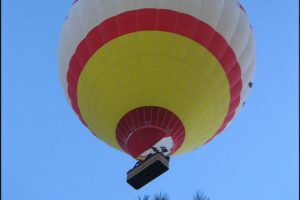 If you don’t mind getting up in the morning before the sunrise, you might like to take the optional balloon ride this morning. We cannot guarantee the availability of this, as it is dependent on the weather (wind), but if you would like to try it you will feel like a drone flying over the West Bank. Cost is not included in your tour. 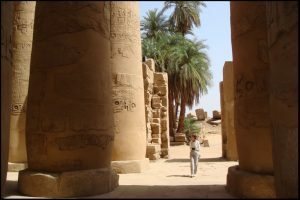 The splendors of Karnak fill our day today. Karnak and the Giza Pyramids are included in almost every Egypt tour, but the typical visit for both these sites is about 45 minutes each. We dedicated a whole day to the Giza pyramids, and we will do the same with Karnak. There is so much to see there! 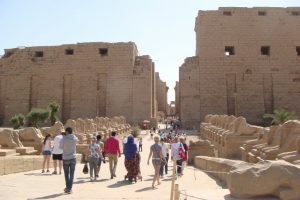 Karnak was the center of government during the New Kingdom and each Pharaoh wanted to leave something impressive there. 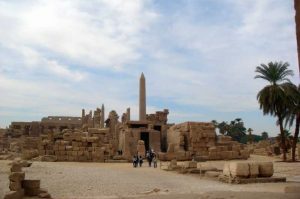 The largest temple complex in Egypt, we see multiple temples, obelisks, great gates, and the famous hypostyle hall – unequaled to this day. 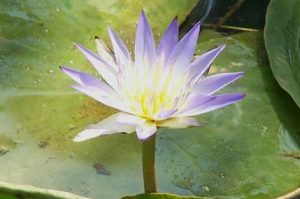 We also see the Sacred Lake, the Festival Hall and Botanical Garden of Tutmosis III (a precursor of Napoleon’s later record of the fauna and flora found in Egypt). 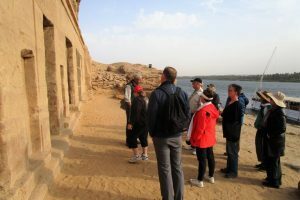 Also at Karnak, we visit the fascinating Open Air Museum where we view the Red Chapel of Hatshepsut and Tutmosis III (Karnak’s original Holy of Holies) and Senwosret’s White Chapel with its finely-carved Middle Kingdom hieroglyphs. These are in raised relief – some of the best to be found anywhere. There is something new each time we visit, as the reconstruction of new pieces is ongoing. In the late afternoon, we make a visit to the modern Luxor Museum. There is a special exhibit room for a cache of statues found in near-perfect condition. 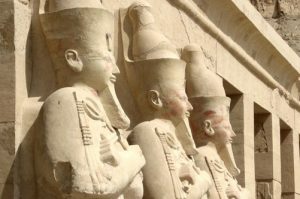 They were buried under a courtyard at the Luxor Temple and found only recently during renovations. 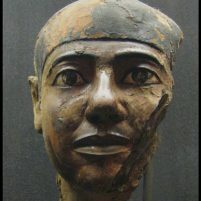 There is also a new wing, just opened recently, with an excellent mummy exhibit and a number of splendid artifacts. If you enjoy bargaining and shopping, or just plain people watching, you might enjoy an evening visit to the Luxor Bazaar. Souvenirs, scarves, dresses, and more. You can even try smoking the shisha (flavored tobacco) in a water pipe. 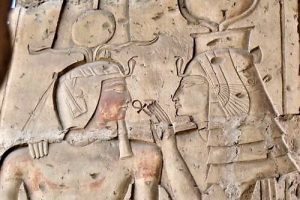 DAY 7, Saturday, Nov 16, 2019, or Feb 29, 2020: Abydos Seti 1 Temple, Ramesses II Temple, Dendera Hathor Temple. Meals: BB, D. Hotel: Sonesta St. George Hotel, Steigenberger Nile Palace, Luxor or similar. 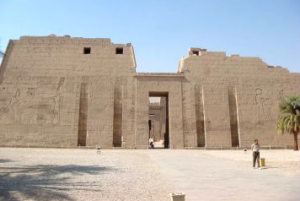 Today we drive north of Luxor to Abydos, the place of pilgrimage in Ancient Egypt. Along the way, we see the hills of Nag Hammadi where the writings known as the Nag Hammadi Library were found (parts of the New Testament that were left out). 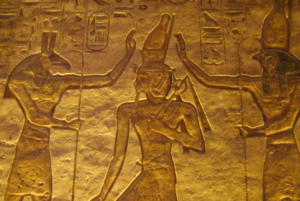 Here in Abydos, we visit the exquisite Seti I Temple, the Ramesses II Temple, and the mysterious Osirion. The wall reliefs and pillared halls of the Seti 1st Temple contribute to the air of sacredness that pervades this site. 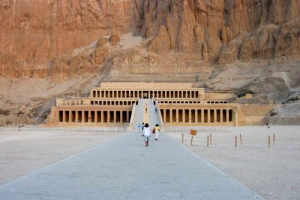 This was the Mecca of Ancient Egypt and it continues to draw spiritual pilgrims to this day. 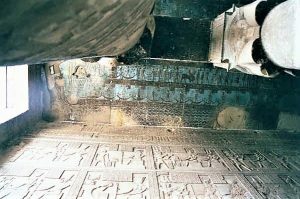 When we leave Abydos, we drive to the Hathor Temple at Dendera. 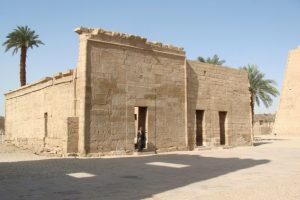 This Ptolemaic (Greek) temple was built on the site of an older temple for the goddess Hathor. One of the outstanding features is the amount of astrological imagery. The temple is covered with representations of constellations and stars. 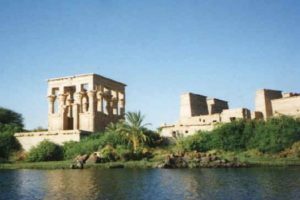 This temple also introduces you to the elements of the Ptolemaic temples (which we will see more of when we sail south towards Aswan). 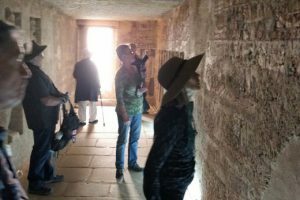 DAY 8, Sunday, Nov 17, 2019 or March 1, 2020: Valley of the Kings, Medinet Habu. 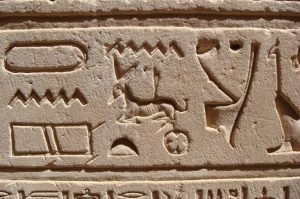 Sail to Esna. Meals: BB, L, D. Dahabeya Queen Farida or similar. On our last day in Luxor, we begin with the most famous archeological site in the world, the Valley of the Kings, where King Tut’s tomb was found. There are many tombs here, and excavations are still going on, as well as renovations to tombs that have been uncovered for a long time. 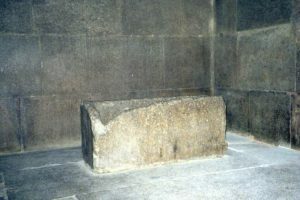 One never knows which tombs will be open that day, but there will be a variety to choose from. 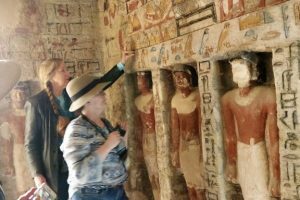 The special ticket for the remarkable Tomb of Ramesses V&VI is included in your tour, in addition to 3 other tombs of your choice. 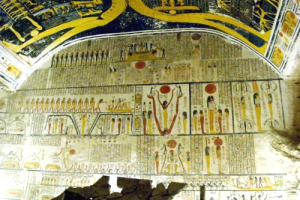 This is the tomb you may have seen with the spectacular scene of the sky goddess Nut arched across the ceiling. 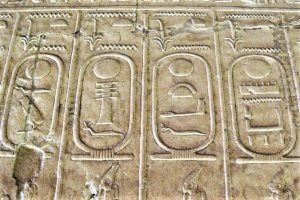 USE FULL SCREEN (bottom right square icon) to watch the video below of the burial chamber of Ramesses V&VI Tomb. 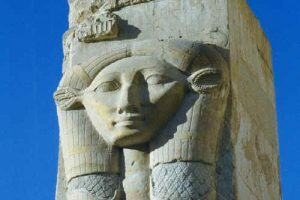 The Medinet Habu Temple is the last great temple built while Egypt was still ruling supreme. 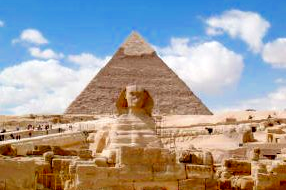 It was built as the Egyptian power in the New Kingdom was declining. Built by Ramesses III on a site seeded by Hatshepsut at the very beginning of the New Kingdom, it is second only to Karnak in size. 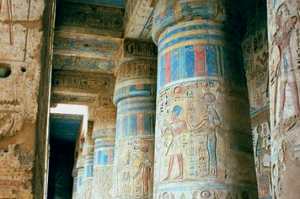 There is a wonderful hall of pillars with colored reliefs of the many gods & goddesses of Ancient Egypt. 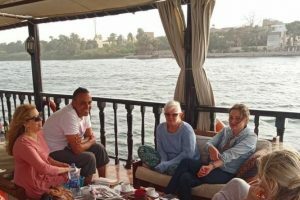 We say farewell to Luxor and board our own private Nile cruise or “Nile yacht” called a dahabeya. The boat is just for our own small group with our own chef and boat staff. What a luxury! 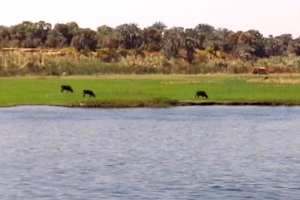 As we begin our journey up the Nile the landscape begins to slowly drift by. The river flows from deep in Africa out to the Mediterranean Sea, so it is flowing from south to north. We are now traveling southward and will be stopping to see temples that were built by the Greek emperors a thousand years later. Tonight our boat docks in Esna. 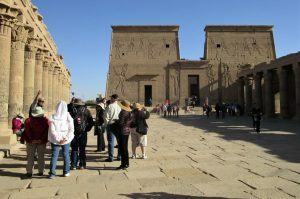 DAY 9, Monday, Nov 18, 2019 or March 2, 2020: Esna Temple, Esna Lock. Sail to Edfu. 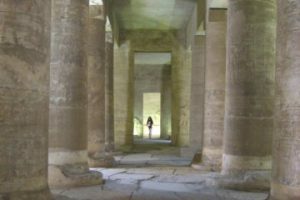 Today we visit our second Ptolemaic temple – those that were built during the time the Greeks ruled Egypt (332 BCE – 30 BCE). 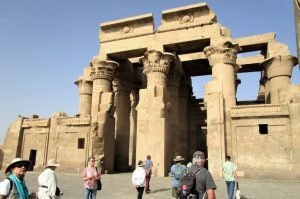 The Edfu, Kom Ombo, and Philae Temples will also be from this era. 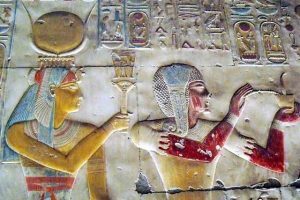 The Temple at Esna was built by Ptolemy III and is dedicated to the god Khnum, as well as the goddesses Neith, Satet, and Menhet. 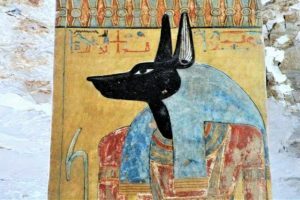 Khnum was the god who created people’s two bodies out of clay on his potter’s wheel — one for the person’s physical body and one for his Ka. They are in the process of cleaning and restoring this temple. An astrological ceiling is being revealed. 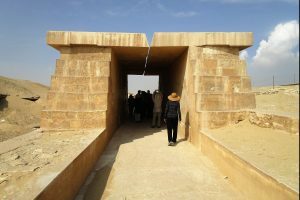 Also here at Esna, we will be passing through the lock. The level of the Nile is regulated at this point in the river. We continue sailing on to Edfu where we dock for the night. 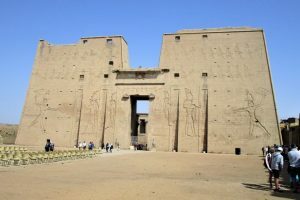 DAY 10, Tuesday, Nov 19, 2019 or March 3, 2020: Edfu Temple. Sail to Silsila Mountain. Meals: BB, L, D. Queen Farida or similar. 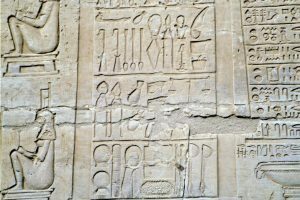 The Edfu Temple is one of the best-preserved temples in Egypt. 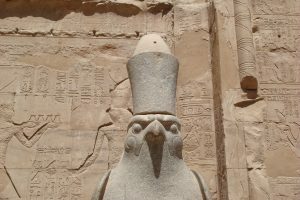 Built during the Ptolemaic era on an older site, it is dedicated to the god Horus. Horus was the original superhero. 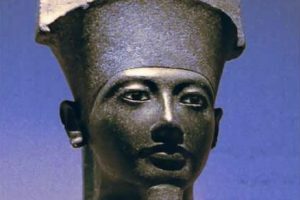 Even the word hero is derived from Heru, his name in the Ancient Egyptian language. He is the savior and redeemer, the one who fights for what is right. He is represented as a falcon (a type of hawk). We continue sailing on to Silsila Mountain. 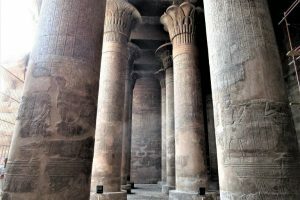 DAY 11, Wed, Nov 20, 2019, or March 4, 2020: Silsila Horemheb Temple, Kom Ombo Temple. 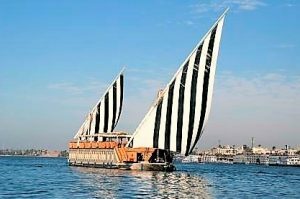 Sail to Aswan. Our last day of sailing. We have one more day to let the gentle current of the Nile cleanse our bodies, minds, and souls. 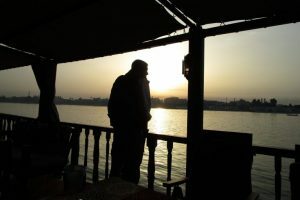 Being on the Nile is like time outside of time. Are we in Biblical times? The early 1900’s? Is it really the 21st century? Could that be Agatha Christie I see there writing her next mystery novel? Do memories of earlier times and faces cross your mind? 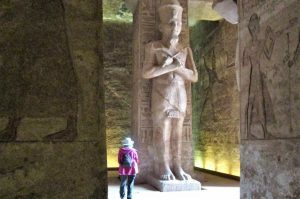 We make a visit to the Temple of Horemheb at Silsila, a site not easily accessible and certainly impossible to visit with a large cruise boat. 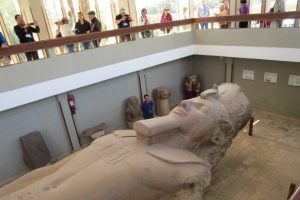 Such a visit is more the way it would have been for Egypt travelers in the past. No vendors hawking their wares, no automobiles or buses. This site is also where many of the huge stones used in building the temples we have seen were quarried. The scale of such an operation is quite striking when one sees where the stones originated. 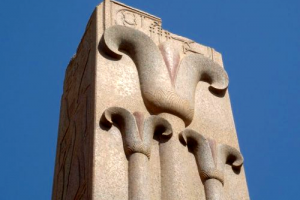 The Kom Ombo Temple sits high on a hill above the Nile. It’s a special feeling when we approach it. This temple has two parallel entrances, one for each of the deities it honors. 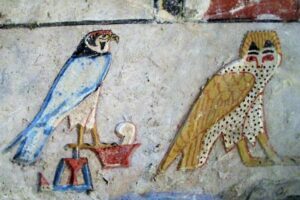 Sobek was a crocodile god and Haeoris was an aspect of the hawk-god Horus. 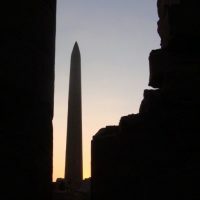 DAY 12, Thursday, Nov 21, 2019, or March 5, 2020: Aswan Unfinished Obelisk, Abu Simbel Temples. Meals: BB, L, D. Aswan Basma Hotel or similar. 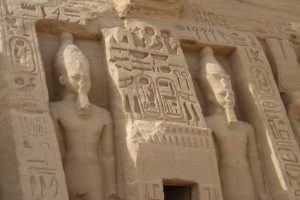 The Abu Simbel Temples were made famous when the high dam was constructed and they were soon to be submerged under the new lake, Lake Nasser. A UNESCO international effort saved the temples by moving them to higher ground. 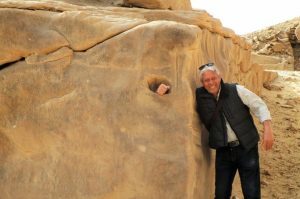 Checking out of our dahabeya, we drive first through Aswan, where we make a stop to see the Unfinished Obelisk of Hatshepsut, and then continue on by the desert road to Abu Simbel. 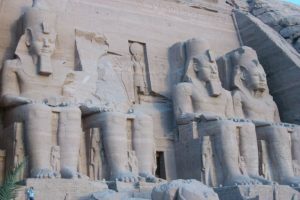 The two large temples of Abu Simbel were built by Ramesses II and were carved into the cliff itself. 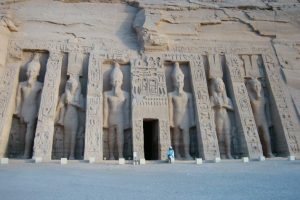 The smaller temple is for the Goddess Hathor and was dedicated to his queen, Nefertari. Our hotel tonight is near the center of Aswan. You might like to visit the Nubian Museum (optional) this evening or try your hand at some bargaining in the local street bazaar. 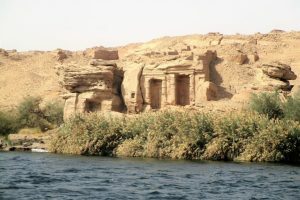 All during the Ancient Egypt times, Aswan was the center of trade between Africa to the south and the Mediterranean countries to the north. 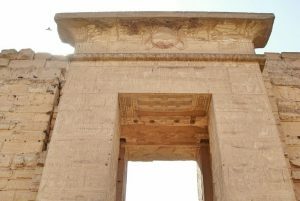 DAY 13, Friday, Nov 22, 2019, or March 6, 2020: Philae Isis Temple. Flight Aswan/Cairo. Meals: BB, L, D. Steinberger El Tahrir Hotel, downtown Cairo, or similar. We have a beautiful treat this morning. 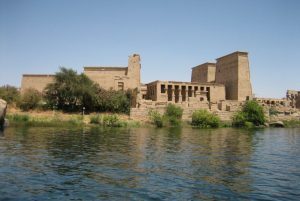 The Philae Isis Temple is on an island near Aswan. This temple was partially submerged when the Low Dam was constructed (1899-1902) by the British. With the construction of the High Dam (1959-1970), it would have been underwater completely. Thankfully, it was moved to higher ground on a neighboring island and its beauty continues to shine. We fly back to Cairo in the late afternoon and check into our ultra-modern hotel at Tahrir Square (where the Cairo Egyptian Museum is located). DAY 14, Saturday, Nov 23, 2019, or March 7, 2020: Cairo Egyptian Museum. Farewell Dinner. 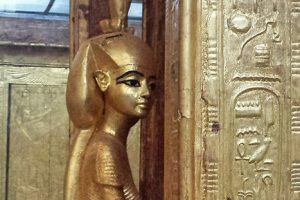 The incomparable Cairo Egyptian Museum is a must-see for anyone interested in Ancient Egypt. 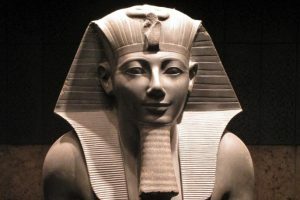 The King Tut Exhibit is the most famous, but that is just a fraction of the thousands of Ancient Egyptian artifacts that are on display there. Statues, statues, everywhere! All eras of Ancient Egypt are represented. 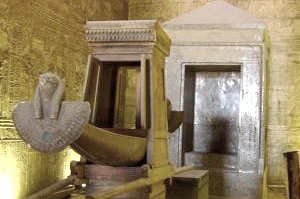 There is a Mummy Room with some of the most famous pharaoh’s mummies, the Narmer Palette. . . It would take many days to see it all. We will see the most famous pieces together and then have free time for people to spend time with the rooms that interest them the most. It’s hard to believe our time has reached an end. We have a final meeting and dinner together before preparing to go our separate ways. Most people will fly home tomorrow morning, but there may be some who have flights leaving during the night tonight. Farewell Egypt! You will continue to live in our hearts! DAY 15, Sunday, November 24, or March 8, 2020: Departure flights. Breakfast is included this morning at the hotel. Transfers to Cairo airport for departure. Our tour begins in Cairo, Egypt on Sunday evening, February 17, 2019. Those leaving from the USA depart on Saturday, February 16th, as the flights travel overnight and arrive in Egypt the next day. More . 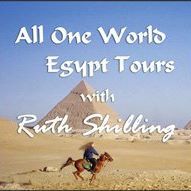 . .
What’s included in your “Time & Space in the Temples & Pyramids” Egypt Tours with Ruth Shilling? What you will need for your Egypt trip. Prices, Payments, and Registration Forms. 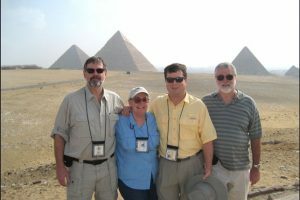 See updates about the latest discoveries and other news about Egypt and All One World Egypt Tours. You can share the Facebook Event page for this Feb 2019 Tour with your friends! 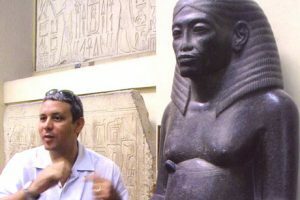 Ehab Mahmoud, Egyptologist tour guide. 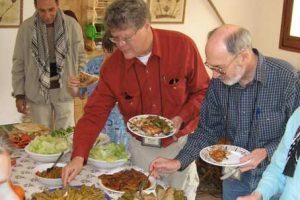 More about them on 1worldtours.com. Who travels with All One World? And what do they have to say about our tours? Read about it here . 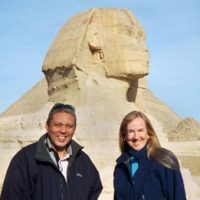 . .
Visit our original website, 1worldtours.com for information about our previous tours, additional photos of Egypt, our contact information, and more.